Harvard University Press, 9780674737631, 320pp. 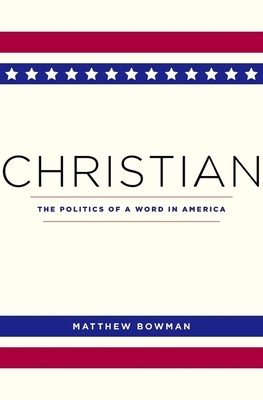 As Christian: The Politics of a Word in America shows, for many American Christians, concepts like liberty and equality are rooted in the transcendent claims about human nature that Christianity offers. Democracy, equality under the law, and other basic principles of American government are seen as depending on the Christian faith's sustenance and support. Yet despite this presumed consensus, differing Christian beliefs have led to dispute and disagreement about what American society and government should look like. While many white American Protestants associate Christianity with Western Euro-American civilization, individual liberty, and an affirmation of capitalism, other American Christians have long rejected those assumptions. They maintain that Christian principles demand political programs as wide-ranging as economic communalism, international cooperation, racial egalitarianism, and social justice. The varieties of American Christian experience speak to an essentially contested concept of political rights and wrongs. Though diverse Christian faiths espouse political visions, Christian politics defy clear definition, Bowman writes. Rather, they can be seen as a rich and varied collection of beliefs about the interrelationships of divinity, human nature, and civic life that engage and divide the nation's Christian communities and politics alike.